Hey all! Long time no see, I know. I apologize for the lack of content; life has gotten in the way, and I needed to step back and take care of myself these past couple of months. I promise that your patience will be greatly rewarded with plenty of new content soon to make up for it. 🙂 Thanks for hanging in there and I appreciate your continued support! As someone who wakes up early each weekday morning to make it to work at 7am, fitting in a good, adequate breakfast can sometimes be a struggle (especially as a frequent offender of the Snooze Button). Because I wake up so early, I take something with me to eat at work after I take care of my morning tasks. To facilitate this process, I keep a lot of foods on hand that are easy to pack-and-go and, at most, require a toaster oven or microwave since we have those at work. However, since my workout routine now has a lifting focus, I’m concerned too about getting sufficient protein in my diet, especially on days that I do lift. That’s why, when I came across egg muffins, I knew they would be perfect for my breakfasts requirements. 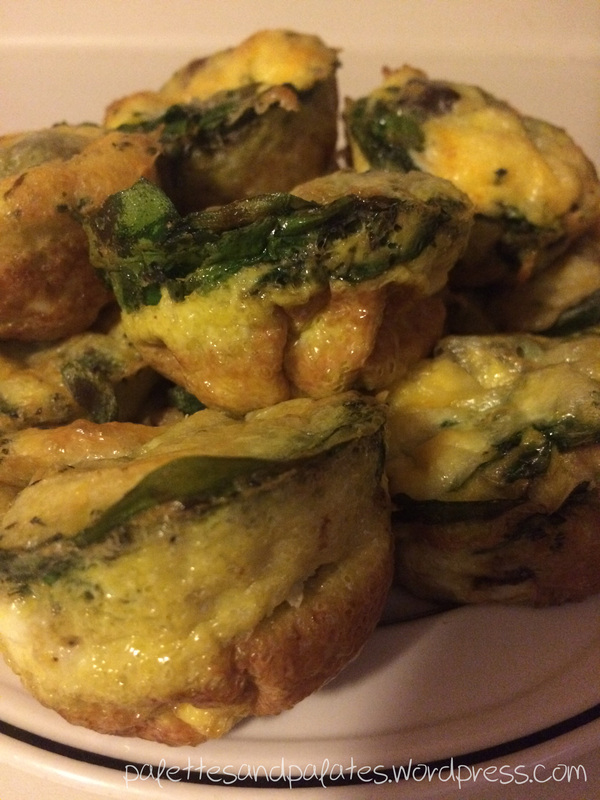 Egg muffins are exactly what they sound like: “muffins” made of eggs. 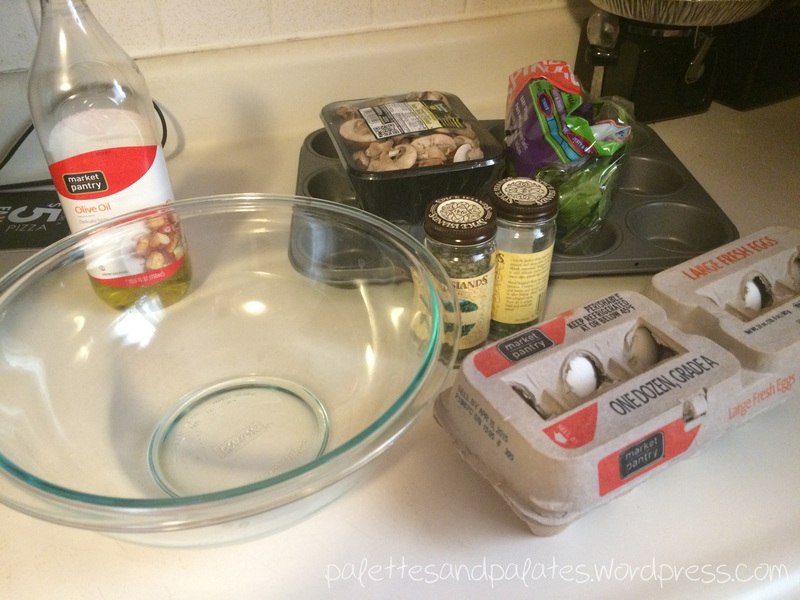 I absolutely love eggs, so these were an easy choice for me, plus they’re extremely easy to make. One dozen eggs makes about a dozen of these muffins, so that’s the consistent ingredient across the board for all the recipes out there. My recipe will include what I chose to add for my first batch. All your happy little ingredients. Cook your portabella mushrooms in a pan with a little bit of the oil of your choosing. In my case, I used extra virgin olive oil. The mushrooms will be done when they’re browned and are less firm. In a mixing bowl, whisk together all your eggs. Once they’re well whisked, mix in your spinach (pro tip: would definitely recommend chopping the spinach leaves into smaller pieces, because I didn’t), chives, basil and garlic powder. 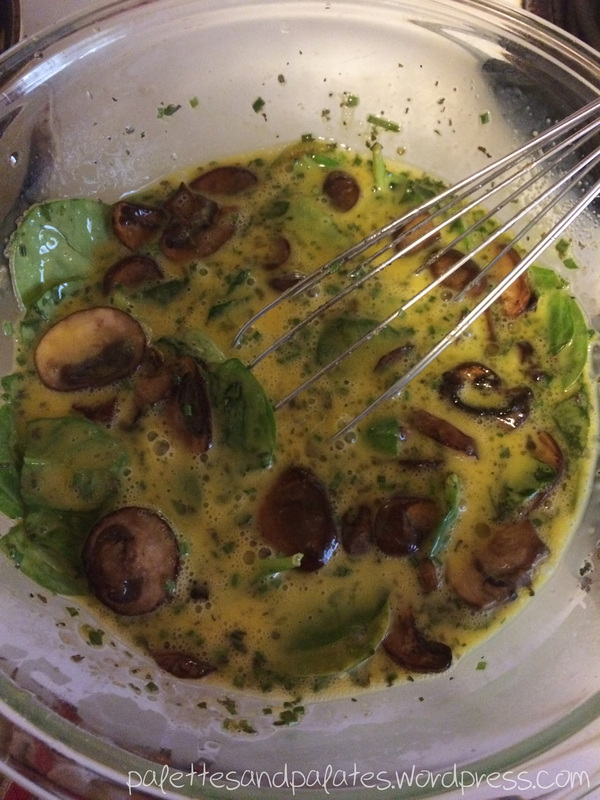 When the mushrooms are finished cooking, mix those in as well. I promise this will turn out more delicious than it looks right now. In a well-greased muffin tin, pour a 1/3 cup mixture into each well, or just enough that you can still see a bit of the side of the well. Sprinkle some shredded cheese on top of each, and then place in the oven. Cook for 20-25 minutes, or until you can insert a knife in a muffin and it comes out clean. And that’s it! See, told you it was simple. Another great thing about these little guys? You can freeze them! If you’re a meal planner and love making things ahead of time, these would fit very well into your routine. All you have to do, whether you freeze them or not, is pop them in the microwave to heat them back up.